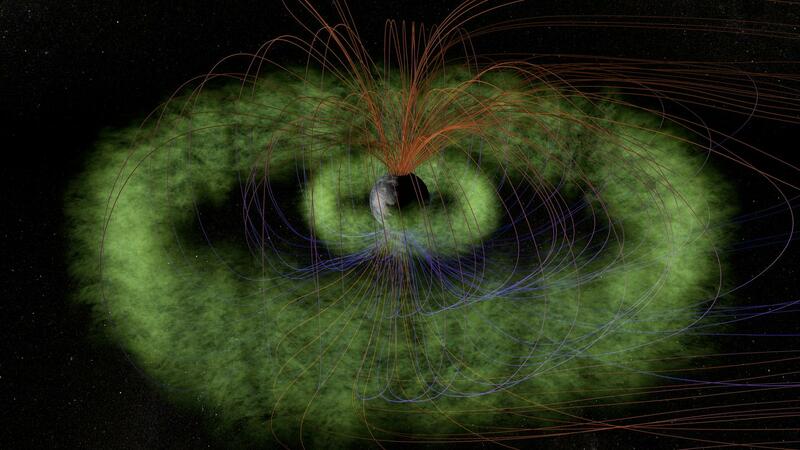 New research using data from NASA's Van Allen Probes mission and FIREBIRD II CubeSat has shown that a common plasma wave in space is likely responsible for the impulsive loss of high-energy electrons into Earth's atmosphere. Known as whistler mode chorus, these waves are created by fluctuating electric and magnetic fields. The waves have characteristic rising tones — reminiscent of the sounds of chirping birds — and are able to efficiently accelerate electrons. The results have been published in a paper in Geophysical Review Letters. "Observing the detailed chain of events between chorus waves and electrons requires a conjunction between two or more satellites," said Aaron Breneman, researcher at the University of Minnesota in Minneapolis, and lead author on the paper. "There are certain things you can't learn by having only one satellite — you need simultaneous observations at different locations."